Writing today’s topic for the Creativity Series was a bit of a struggle because I am sensitive to how the economy is affecting others and despite how badly I want to radiate hope and positivity I don’t want to come across as happy-go-lucky, annoying, or perhaps naive to the problems that many are facing. But you know what, I’m not going to over cook this because who knows, maybe some of you need this reminder so this week we’re going to talk about developing a sense of humor to not only help you be more creative but to keep you sane in a pretty messed up world. How does developing a sense of humor inspire creativity? How can it help you get though hard times? It can really push down walls when you decide to lighten up and just be yourself without becoming overly concerned about the opinions of others. It can also protect you from your worst enemy which so often yourself. I can’t stress how important this is. When others are overly judgmental, negative, or when you find yourself being overly critical of yourself, it’s time to tap into your sense of humor. 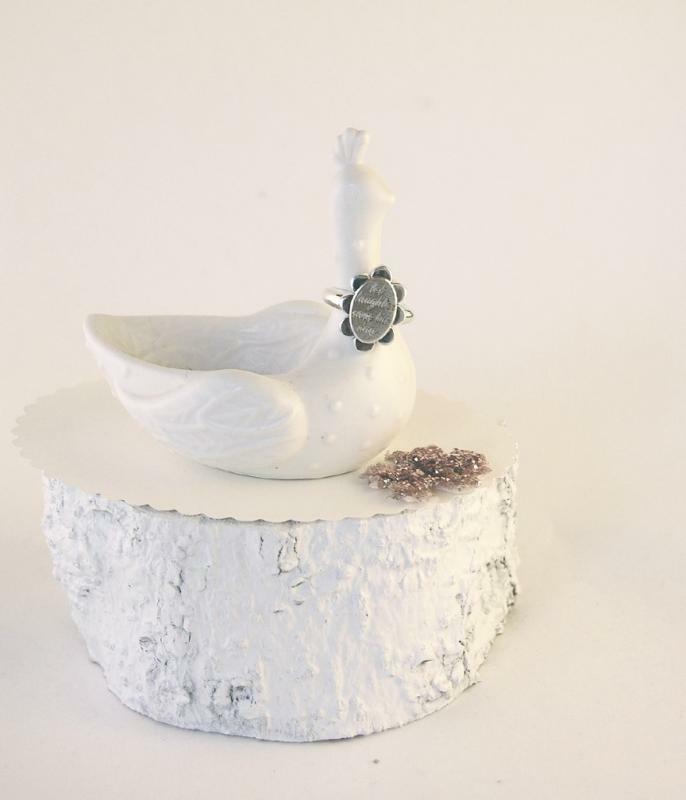 This beautiful little ring says, “Let laughter save the day” by lucky life. I believe that laughter stimulates great thinking. When you are under less stress your thoughts flow more freely and your mind can wander a bit outside of the box. A sense of humor helps us during the journey. Drama seems to up ratings on television but in real life, it only brings our ratings down. Friends may start to dodge us, clients could begin to call us into question, family members will avoid “stepping on eggshells” simply by withholding information that you really should be hearing. It’s a lot easier to communicate with someone who doesn’t fly off the handle over every little thing. This is the sign of someone who may need to tap into their sense of humor. The world does not revolve around any of us, we’re all going to hit problems and deal with annoyances often on a daily basis. There is no problem-free life, no perfect government, no ideal marriage partner. We’re all broken in one way or another with our own fears, dysfunctions, inabilities, dark sides, etc. It’s important to accept that fact and realize early on that nothing we take on is easy, whether that’s a new child, a career, or something that should be fun like starting a new hobby. Developing your creative side takes effort, failure often rides alongside success, so it’s unavoidable that the path you thought would be perfect may not be the same path you find yourself on in a few years. That’s where a sense of humor helps. Trust that the journey is often as rewarding, if not more, than reaching the actual goal. Allow your sense of humor to take the wheel when you feel like giving up or flipping out. During the hard times you may need to step outside of the ‘bubble’ you’re in and laugh at the situation a little. Remind yourself that you’re human. While sense of humor is important, going through life laughing things off and ignoring potential issues is dangerous. I’m certainly not encouraging laughing at funerals or telling your depressed friend to stop feeling sorry for herself. You have to take things seriously but there does come a point where you’ve taken something seriously so what’s next? You then have to start dealing with it, mending the problem, repairing or rebuilding, etc. It’s at that point when you can decide to put a positive spin on the situation or not. You can find some relief as you deal with your issue if you remember the good during the bad times. Happy people are more creative, creative people are more productive, and productive people are well, happier. I once read somewhere that developing a more optimistic world view can help you become more resilient and that it’s good for your emotional and even physical health to lighten up and laugh. That’s good stuff there. Now I want to hear from you… How has your sense of humor helped you during the dark times? What tips can YOU share with others on how to develop a sense of humor? 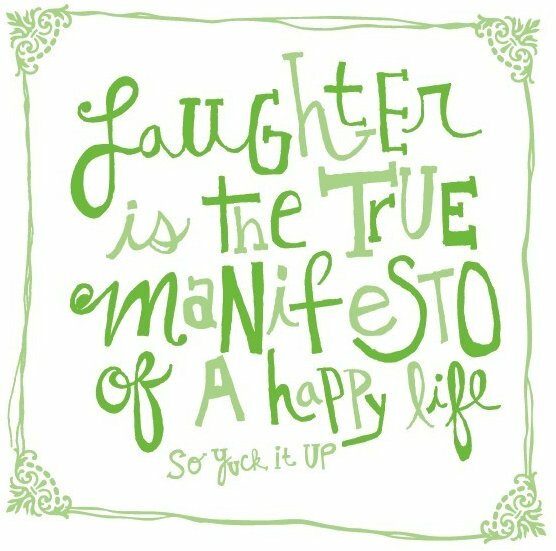 How has your ability to laugh at things, from your failures to your stumbles, helped you as a person?